They ain’t kidding when they say a baby changes everything. Instead of looking for a new pub to eat at, we’re looking more to take out food. With L being only three weeks old, we’re very hesitant to go out for lunch even though both of us are fairly confident we can handle a public meltdown. We decided today that we really needed to get out of the house. Groceries were a top priority, but lunch was a close second. We wanted to drop some of the clothes L grew out of already at the Gospel Mission so my suggestion was Irving’s Market & Deli. 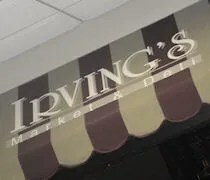 We have been to Irving’s a few times while walking around the Kalamazoo Mall, but have never eaten lunch there together. J ate there one day with a co-worker, but I never had. 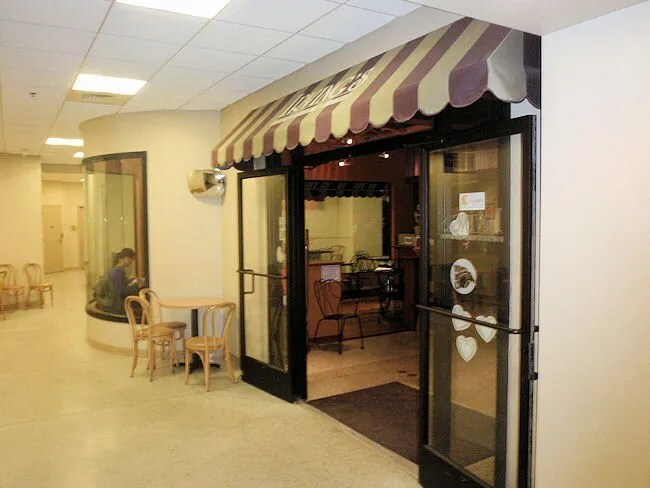 The small market and deli is on the ground floor of the Kalamazoo City Centre. There’s a large deli almost as soon as you walk in with hot sandwiches, fresh salads, and even a salad bar. The rest of the space is set up as a market with gourmet items as well as a decent sized craft beer selection. Just past the cash registers, there’s a small dining area with a few tables. Should those tables be full, like during the lunch rush, there are also tables outside of the market in the hallway that are available for use by Irving’s customers. By the time we got the baby around to leave the house, it was close to 1:30, so we were past the lunch rush. It actually looked like the three ladies working the deli were getting ready for tomorrow as they were starting to make sandwiches to replace the ones that had been snatched up today. The small panini menu is on a chalkboard behind the deli and all the sandwiches are pre-made and sitting in a cooler waiting to be toasted. The first sandwich that jumped out at me was the Country Club Panini. I went with the whole sandwich which almost proved to be too much. The large slices of bread (which I believe are from MacKenzie’s) are stuffed with turkey, ham, bacon, cheddar cheese, and tomato. I asked if it was possible to slide the tomato off before it was put in the panini press which didn’t seem to be a problem. J picked the Chicken Pesto Artichoke Panini, but she only went with the half. She learned from her visit with the co-worker that a half was more than enough for her. 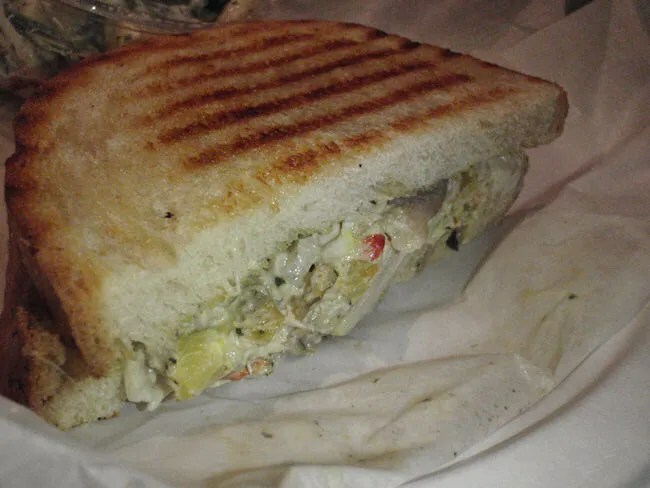 Her sandwich came with large pieces of rotisserie chicken, pesto, red pepper, artichoke, banana pepper, and mozzarella cheese. 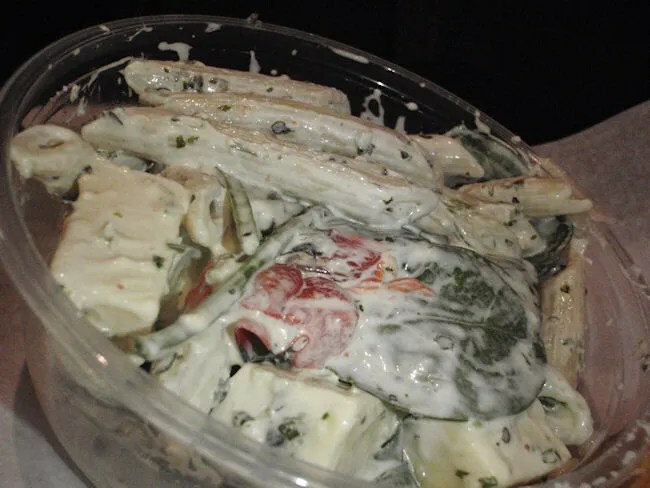 In addition to her sandwich, she got a half pound of smoked provolone penne which had large chunks of smoked provolone, penne pasta and fresh spinach. We grabbed a couple of drinks out of the coolers to round out the meal. We headed to the cash register to pay while our sandwiches were toasting. The total was just a little over $17. While J was paying, I took the baby carrier and grabbed a seat at one of the metal tables in the small dining area. J came over with the drinks and as she was sitting down, her name was called for our sandwiches. Since we were eating in, the sandwiches were wrapped in wax paper then handed to us on paper plates. J grabbed some plastic silverware for her pasta then joined me at the table to eat. Both of our sandwiches were delicious. My was stacked with cold meat which, although not cooked all the way through, was a perfect fit for the hearty bread it was served on. The bacon was a little rubbery because it had been cooked, chilled, then re-heated, but it’s nothing I would really complain about. 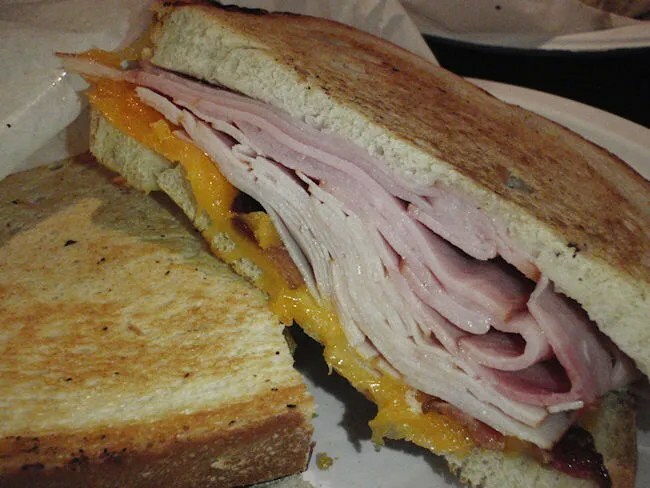 The cheddar cheese was melted nicely and it was oozing between the layers of turkey which it sat on top of. As for J’s sandwich, the chicken on the bread came it large chunks which was about the only comment she made about it. She did offer up a little bit of her pasta salad and the large chunks of cheese which were delicious. Irving’s Market is a great alternative to the fast food sandwich places downtown. It’s not highly visible, but it’s one of those places that if you know where it’s at, you’ll be back often.